The clinic is well-organised with competent staff. I liked Dr Hussain very much and it was a blessing for me to meet him. I left full of hope and ready to work on my general wellbeing. The doctor was wonderful. An easy way to get in touch with the doctor directly on the phone or email. Dr Hussain is the most empathic doctor I've met. He also makes a point in explaining everything through, which makes a stressful medical experience really reassuring. Thanks a lot. Dr Alam Hussain is the clinical lead and head of audiology at St Mary's Hospital Imperial College Healthcare NHS Trust where he runs a specialist tinnitus and dizziness clinic. This clinic is renowned for its expertise and attracts referrals from all over London. 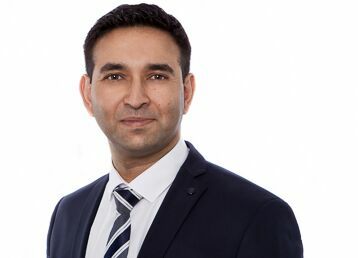 Dr Hussain has vast experience of advanced digital hearing systems to help hearing loss patients, and his insight into the needs of this type of patient is unrivalled. He has developed a multisystem approach to tinnitus which has allowed greater management and reduction of tinnitus. Dr Hussain also prescribes hearing aids tailored to the patient's individual needs. He noticed that the sales techniques employed by most of the major high street retailers are driven by the need to make and increase profit. He also noticed that independent advisers/sellers often work from home and do not have the equipment needed to make the right assessment. So he offers an exceptionally skilled service at exceptional value, but without the high pressure techniques and with unlimited after sales care. My first consultation with Dr Alam Hussain exceeded my expectations. I felt reassured, under the care of an extremely competent doctor and his diagnosis was comprehensive, detailed and very well explained. Will recommend. Extremely happy with the service. Would definitely use again and recommend to others. Extremely happy with the service provided by Dr Hussain. Would definitely use again and recommend to others. My audiologist is top notch! Dr Hussain was friendly, very knowledgeable and the whole experience was excellent. It was a prefect and efficient visit!